This 52mm Filter Mount from Moondog Labs is only compatible with the second generation of their anamorphic lenses. These lenses include two 1.33X anamorphic models, one with a 12.5mm thread, and a second with a 37mm thread. The filter mount will allow for these lenses to be paired with 52mm filters, such as ND (neutral density), UV (ultraviolet), and CPL (circular polarizers). Filters allow you to capture sunsets, cut the glare off of water, shoot long long exposures during the day, and more, as filters help create effects and control light in ways digital editing cannot. 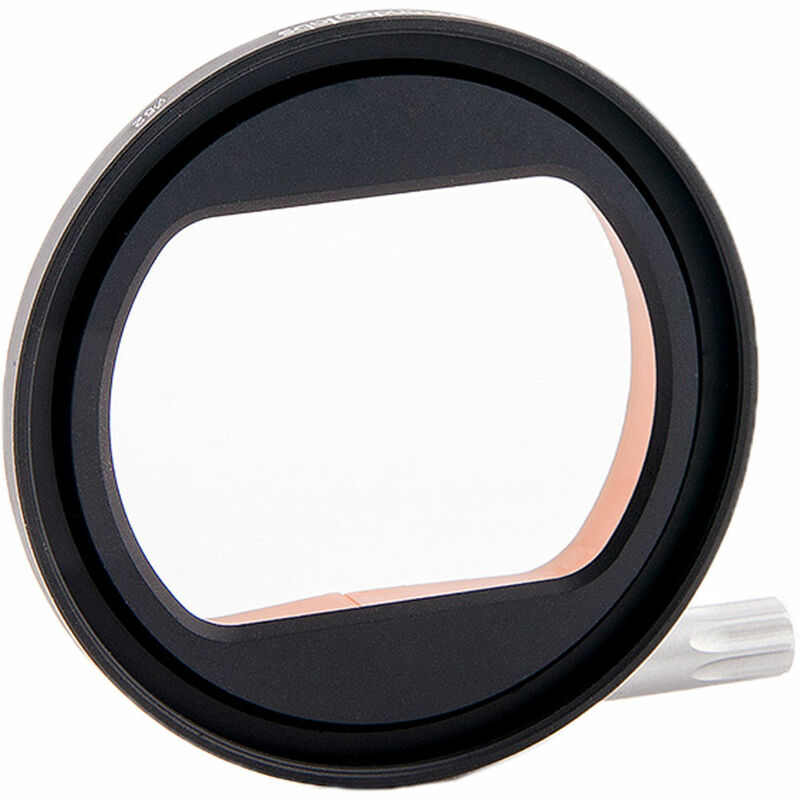 If you're looking for a filter mount for Moondog Labs' original lineup of anamorphic lenses, please use the 52mm Filter Mount for Moondog Labs Lenses. Box Dimensions (LxWxH) 4.3 x 3.2 x 3.1"
Is this piece for item B&amp;H #MO05202 &bull; MFR #05202 ? It's for my iPhone XS Max with Rhinoshield Solid Suit case. Yes. This Moondog Labs 52mm Filter Mount for Gen 2 Anamorphic Lenses (12.5 &amp; 37mm Threads) is compatible with your Moondog Labs 1.33x Anamorphic Lens (12.5mm Thread).